The month of December is full of holiday parties and Christmas present buying trips to the mall. However, these busy days at the end of the year are also full of holiday visitors. Eeek! Who has time to clean their apartment in between the ugly sweater parties and secret Santa shopping? 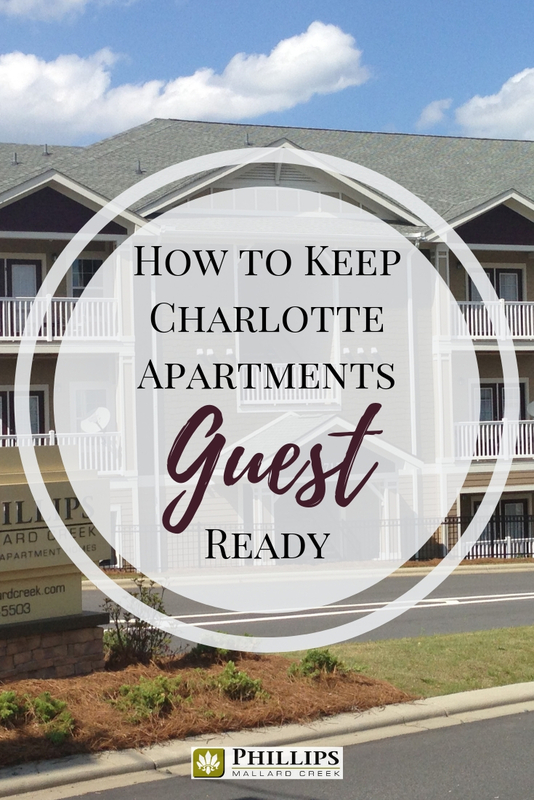 We don't want you to get caught with your Charlotte apartments in a state of disarray! Follow these tips, and your home will be guest-ready all the time, even if you dread cleaning. You won't have to fear a surprise stop-over from a family member or a friend. Get in the habit of wiping down your counters every morning (or evening if you prefer). Nothing makes an otherwise clean bathroom look untidy quite like a few stray hairs in the sink. Take a couple seconds to wipe down your bathroom sink and counter when you get done using them, and it will always look tidy. You will be surprised when you realize how much 5 seconds will change the feel of your room. Of course, you probably already wash your dishes on a fairly regular basis but try to get in the habit of washing your dishes immediately. After each meal, either make sure everything goes in the dishwasher, or hand wash it right away. Not only will it keep your Charlotte apartment looking and smelling cleaner, but it also makes the dishes easier to wash. Food particles that are stuck on for an entire day (or two) are much harder to get off. Also, you are less likely to attract pests when dirty dishes aren't left to pile in the sink. When a home smells good, it automatically feels cleaner. 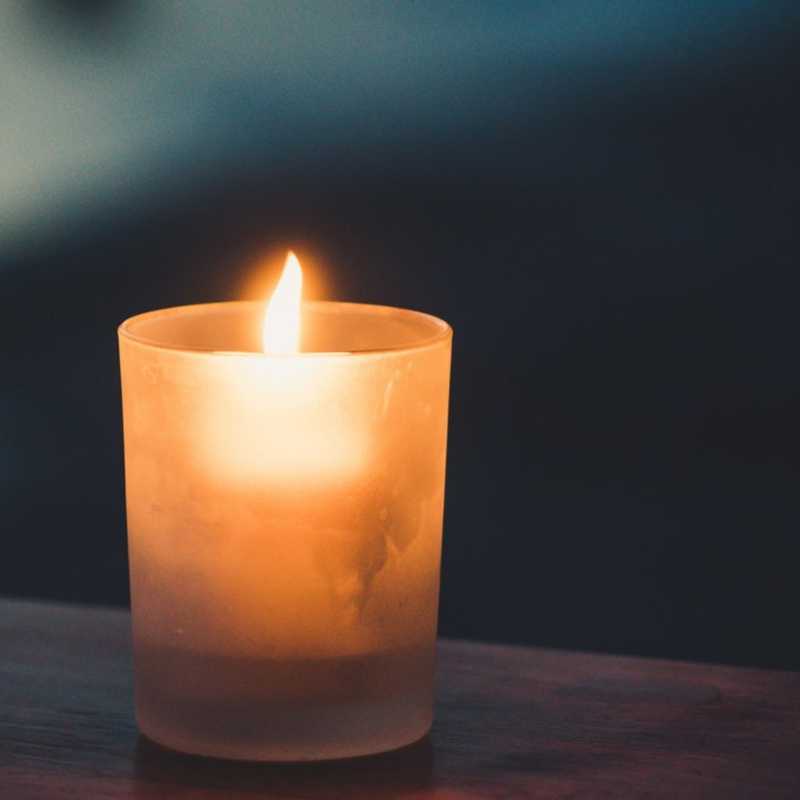 Make sure that your home smells clean and fresh by using scented candles or even fresh flowers. There are several holiday-scented recipes to be found online for brews that you can "cook" in the crock pot to make your home smell wonderful all December-long. Baskets can turn a cluttered-looking room into a tidy-looking one. Plus, they can be used all over your apartment. Put one next to the front door to be a "catch-all". It can be the place you toss your keys, purse, and mail every day when you get home. Use a basket in the bathroom to hold all of the lotions and hygiene products that you use each morning. The baskets take what is essentially a pile of stuff and make it look like decor. 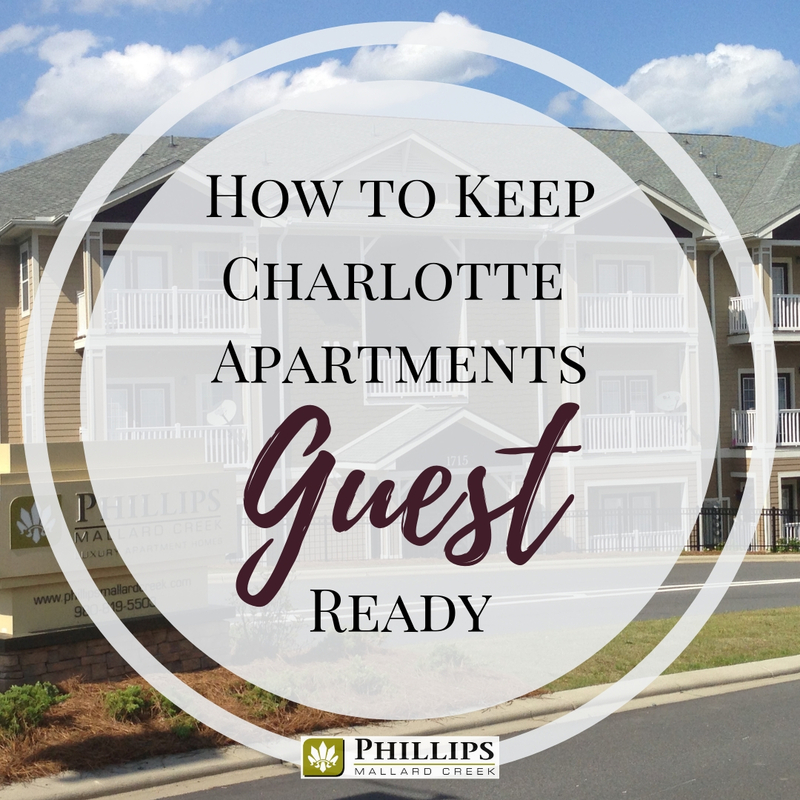 Make sure that everything in your Charlotte apartment has a designated space. This may take a bit of un-cluttering time initially, but in the long run, it will save you a ton of time and make everything look so much cleaner. When everything has its own home, you won't end up with a pile of junk that you have no idea where to put. Keep the dining table clear. All horizontal surfaces are prone to collect things, but the dining table can become the ultimate catch-all if you aren't careful. However, having a clean dining table with a simple centerpiece can absolutely make your apartment look instantly cleaner. Make it a habit to never pile anything on the dining table, and you will never be left scrambling to clear it when the doorbell rings unexpectedly. We aren't suggesting that you get up each morning and redo your hospital corners, but if you can at least pull your sheets back up to the head of the bed, your room will look just that extra bit tidier. 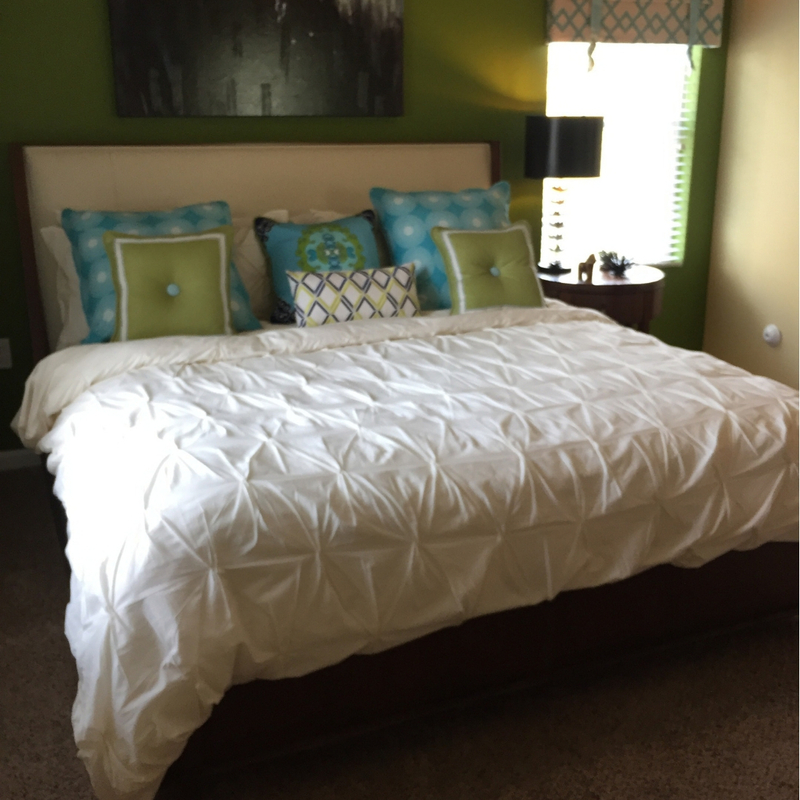 Make things simpler to straighten by not having a ton of little decorative pillows on your bed. You can save those for the rarely used guest room! Give 5 minutes per day. If you can commit to spending five minutes per day cleaning and tidying your Charlotte apartment, you will never be caught with a messy home. Set a timer on your phone and see what you can get accomplished. You will be surprised how much you can actually do in just five minutes! Shake the rugs, sweep the floor, clean the bathroom mirrors. All of those tasks can be completed in two minutes or less. Make it a fun (sort of) family activity by turning it into a race. Everyone gets two simple tasks and have to beat the clock. The big chores and tasks will always take extra time. Things like decluttering the closets, cleaning the blinds, or scrubbing out the oven should be left to those heavy-duty cleaning days on the weekends, but if you can manage to do these smaller tasks on a regular basis your apartment will be guest-ready all the time. It will be extra important during the month of December and the holiday season, but it will be nice to not cringe when receiving the "I'm stopping by" text during the rest of the year too! Here at Phillips Mallard Creek Apartments, we are excited for you to invite your friends and family to our wonderful apartment community. Be sure to tell guests to park in the designated "visitor" parking. If you are in the market for a new apartment and need additional space for visiting guests, we offer 1, 2, and 3 bedroom apartments, each with generous square footage. Stop by and take a tour!